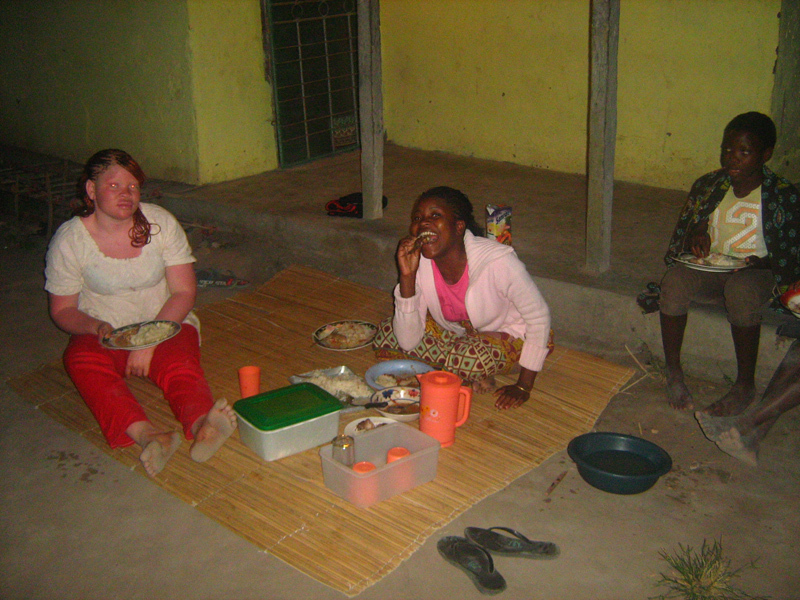 Primarily, I wanted to visit Mozambique, where I served as a Peace Corps volunteer from 2007 to 2009. Since returning to the United States in 2009, I have had a recurring dream: I go to the town where I lived and get off my bus and just as I open my mouth to say hello to my friends, the dream ends. It made me feel as if I had left something unsettled there. What was the biggest surprise about your travel experiences abroad? My biggest surprise was how comfortable I felt and how easily I slipped back into my routines in Mozambique. In many ways, it felt as if I had never left the continent. Did you participate in cultural activities abroad? What was it like? What made your travel experience abroad a success? Being able to speak the language, having local contacts, and getting out of the capital cities. What cross-cultural communication skills did you develop? At some point, you have to embrace it. In my case, I am white and American. 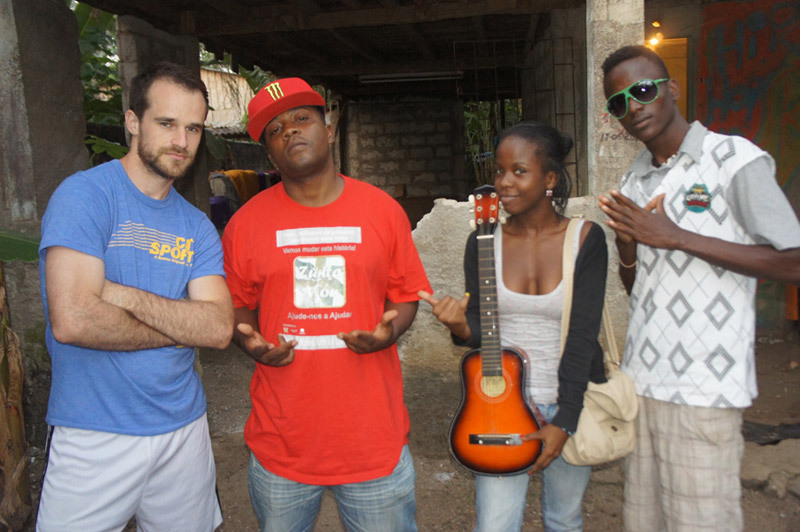 No matter how much time I spend in Mozambique, Angola, or São Tomé and Príncipe, I will always be white and American. The goal is not to become a different person but maybe to talk openly about your differences and to find activities where your race and nationality are not the focus. For example, playing soccer in Mozambique allowed me to blend in, at least as far as the players on the field were concerned. If I played well, they passed me the ball. If I didn’t, then they wouldn’t want me to play. I loved the feeling of being just another guy while playing soccer. Like when I came home from my Peace Corps service, the difficulty is that you feel as if your experience happened in a vacuum. Some people will ask superficial questions, but very few are actually interested enough to let you say everything you want to say about your experience. You feel as though your trip will only ever exist within you, which is simultaneously empowering and discouraging. Now that you are home, do you miss anything about your travels? I miss not knowing exactly what each day would hold. I miss feeling like I was doing something important, i.e., getting to know remote corners of the world. I miss being in a place where I could meet a hundred new people in a day. To be honest, I miss being the center of attention at all times. Make local contacts so you can see things beyond the tourism traps. Peace Corps Volunteers are all over the world and would love to show you the road less traveled! I flew from Angola to São Tomé and Príncipe and was denied entry at the border because I didn’t have the proper immigration documents. The immigration officials sent me back to Angola on the same plane I had arrived on. I was furious, sad, embarrassed, and disheartened. I knew no one in Angola; and the capital city, Luanda, is incredibly expensive. I had no idea what I would do while I figured out what my next steps were. As if by divine intervention, two flight attendants consoled me during my flight back to Luanda and one told me she would help me find accommodations. After we landed, she drove me to her friend’s house where I had dinner. After dinner, another friend of hers picked me up and drove me to a motel owned and operated by another friend. The friend charged me next to nothing. The next morning, the owner of the motel drove me to the U.S. embassy so I could figure out what to do next. A guy at the embassy agreed to let me stay with him for a few nights while I tried to get the necessary documentation to get back to São Tomé and Príncipe. Several Angolans I met on the streets helped me to find the São Toméan Embassy, the Angolan Immigration Office, and several other things that were necessary for me to get back to São Tomé and Príncipe. Throughout my time in Angola, the flight attendant and her friends kept calling me to make sure I had places to stay and food to eat. On my last night in Luanda, they took me out to three parties where I met lots of wonderful people and ate lots of wonderful food. In what could have been a terrible experience (being deported from São Tomé and Príncipe), I finished my week in Angola feeling incredibly appreciative and lucky to have experienced such human kindness. What did you miss most about your home while traveling abroad? Ice packs. I sprained both my ankles playing soccer. Jimmy has given us an exciting account of his most recent African adventures. He has built up a significant amount of first-hand experience and seems to be aiming for a career in the non-profit sector. We would recommend that Jimmy consider going abroad with an NGO in South America or South Asia to supplement his experience on the African continent. 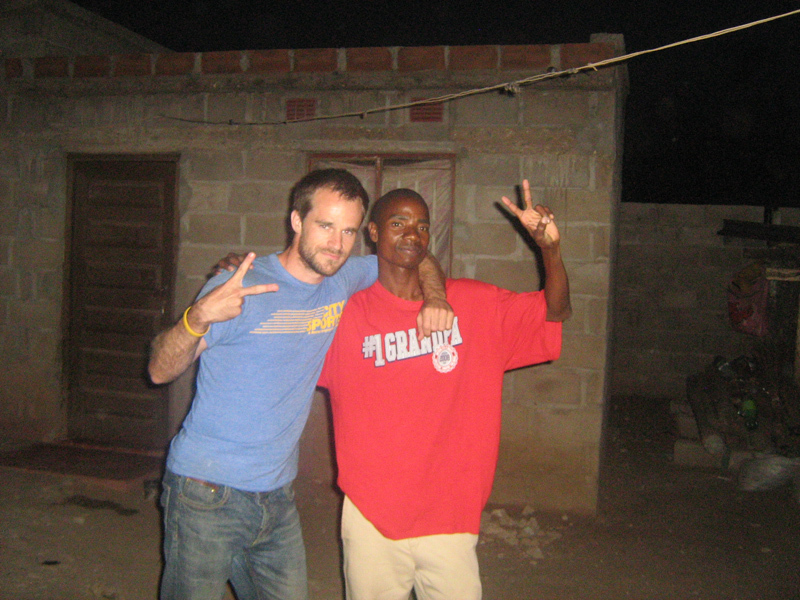 Before his most recent trip, Jimmy worked in Africa with the Peace Corps. We might suggest that he consider going abroad with a smaller NGO, since smaller organizations often allow volunteers to take on more responsibility. Jimmy could also consider pursuing a graduate degree in international development at a university abroad. A master’s degree is a prerequisite for many management positions within the non-profit sector, and pursuing the degree abroad would add an additional international component to his academic resume. Our extensive All NGOs resource list is a great place to start searching for volunteer and job opportunities. Use the region filter to narrow your search. Building Towards a Career in International Development is a short but important list of ways to build valuable experience if you’re aiming to have a career in the international development sector. Have a peek at the Marc Doucet resume in Sample Resumes Written By MyWorldAbroad to get a sense of what a strong international development resume looks like.